The Washington House of Representatives has voted to phase out farming of non-native fish in state waters, drawing the end of Atlantic salmon farming in Puget Sound one step closer. The move comes one week after a similar vote by the state Senate. Both bills let existing salmon farms keep operating only until their current leases run out, in the next four to seven years. 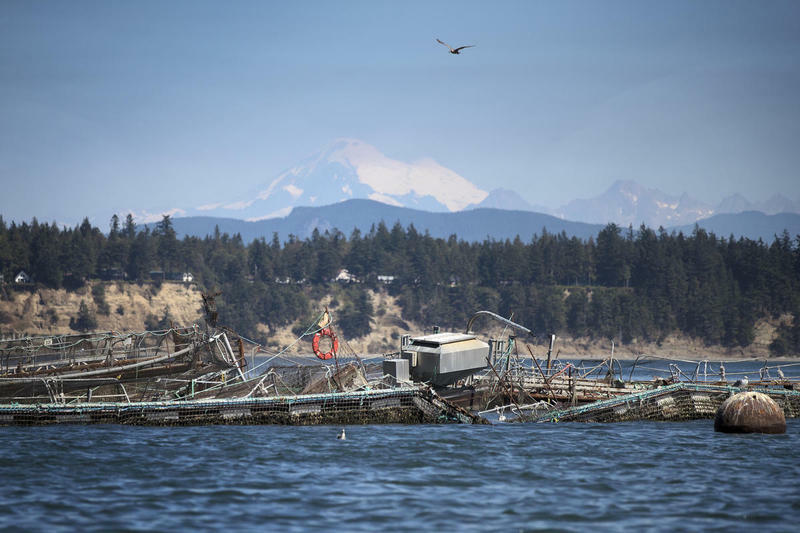 The House vote also comes six months after a poorly maintained fish farm collapsed near Anacortes, letting an estimated 250,000 Atlantic salmon escape into Puget Sound. Republicans, including Rep. David Taylor of Moxee, called the move an overreaction to a single accident. "You have an accident on a farm, we don’t try to eliminate that industry," Taylor said. "But in this case, we are." But Republican Rep. J.T. Wilcox of Yelm said he would vote in favor of the phase-out, even if it meant some jobs would be lost. Wilcox said the risk to runs of native salmon was too great. He said he’d never felt worse after a vote. Wilcox called on Washingtonians to take all threats to native salmon more seriously. Canadian company Cooke Aquaculture raises Atlantic salmon on three continents. It employs about 80 people in Washington. If the House and Senate can hash out the minor differences between their two bills, either by approving the other chamber’s bill or agreeing on some compromise between them, Governor Jay Inslee is expected to sign a ban on Atlantic salmon farms into law.